An open source solution, Drupal is most often deployed on a LAMP (Linux, Apache, MySQL, and PHP) architecture, however it can also be deployed in other environments, including Windows. 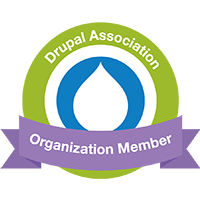 DPCI will help you determine the ideal configuration for Drupal in your environment. Some of the aspects of your environment that DPCI can help you evaluate are current and projected storage requirements, peak and average load, and backup and failover strategy. If your environment requires load balancing, DPCI will make recommendations for the implementation of a server switch (such as F5). DPCI will perform stress and performance testing to ensure that your Drupal site meets all of these requirements. While planning the architecture for your Drupal environment, you may determine a need to change or upgrade the servers in use, whether you are managing your servers in-house or using a hosting service. DPCI can help you determine a strategy for managing any changes and maintaining a new environment. In addition to planning for new installations, DPCI can evaluate your current architecture and provide a recommendation for upgrades that will enable you to scale your current Drupal solution. DPCI will work with your internal IT group or hosting provider to ensure that the architecture for your Drupal deployment meets your organization’s needs, not just for first launch but for the continuing evolution of your site.